Released version 1.2.6 the game BabyMagica! 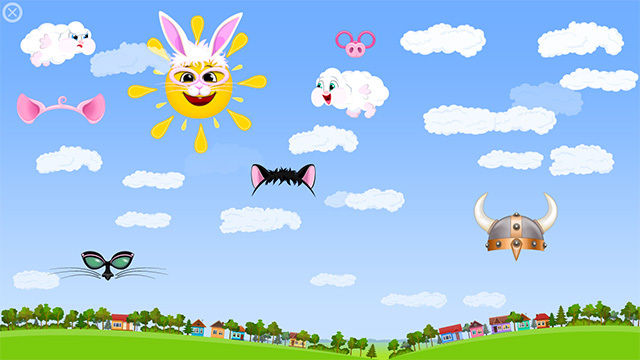 21/03/2019 The mini-game "Happy Sun" we have added a new themed glasses and hats: rabbit, cat, pigs etc. There is a new Hungry Clouds with legs, which eat up all the prizes! 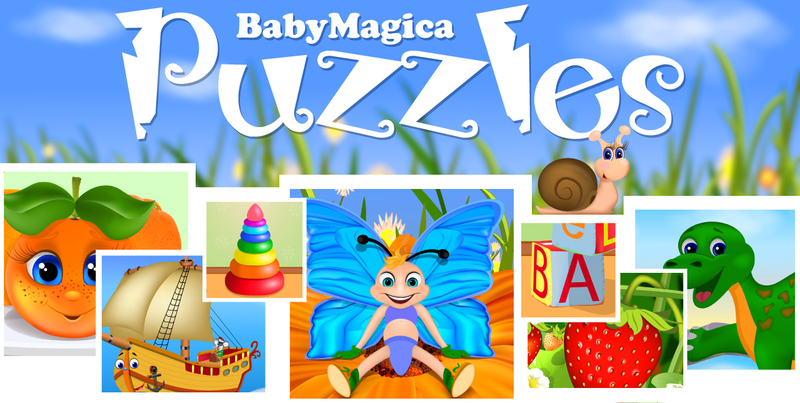 16/02/2019 Our new educational game for children from 2 to 5 years old BabyMagica: Puzzles is available for download in the Google Play store! Released version 1.2.5 the game BabyMagica! 07/02/2019 This update applies to the mini-game "Happy Sun". Now the level is divided into two topics. Added new animals on the balls: bear, goat, pig, rhino, zebra. Added new vegetables and fruits. And also made various improvements. Released version 1.2.4 the game BabyMagica! 21/12/2018 In the mini-game "Train for Animals" - now toy robots can be put in wagons. And robots have learned to dance! Released version 1.2.3 the game BabyMagica! 12/12/2018 In the mini-game "Train for Animals" we have added new obstacle: a flock of birds. Various improvements have also been made. Released version 1.2.2 the game BabyMagica! 05/11/2018 In the mini-game "Train for Animals" there are new characters - Super fast turtles! BabyMagica: Puzzles! Open beta version 0.0.3! 08/10/2018 Our new BabyMagica toddler puzzle game Is now available for download from the GooglePlay store! Install, play, have fun! Feedback and your children's impressions of the game are very important to us! Write to us! Released version 1.2.1 the game BabyMagica! 08/06/2018 New types of wagons. Very soon! Released version 1.2.0 the game BabyMagica! 07/04/2018 In this version, we have made various improvements and fixed minor bugs. In the mini-game «Happy Sun» we added new elements: ball, drums, «hungry clouds», as well as another music track. 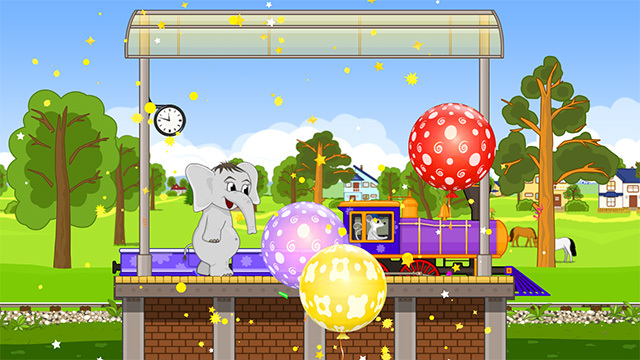 And in the game «Train for Animals» added a new obstacle on the way and large balloons. Released version 1.1.9 the game BabyMagica! 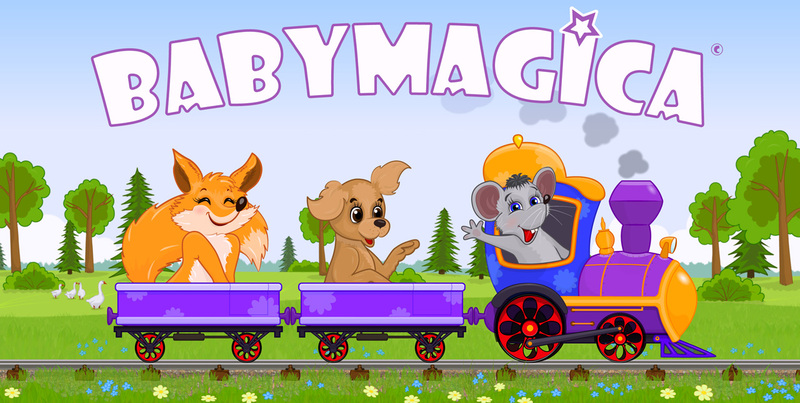 07/12/2017 We have released a new update of the game BabyMagica. 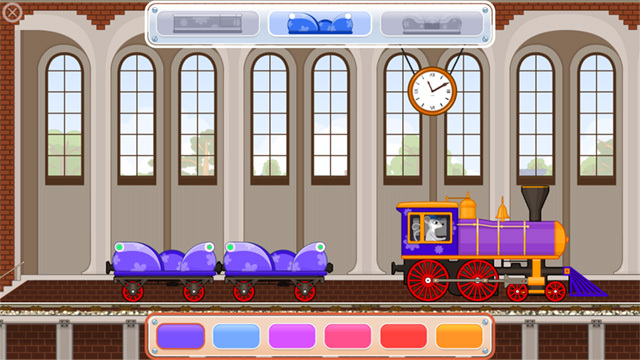 In this version we have improved control of the Train; made new cars departing from the balloons; and also added bubbles to the aircraft. In the mini-game "Happy Sun" added some fruit. 30/11/2017 We are making progress in the development of our New Game for Kids — to collect puzzles and have fun! And here is the Main Menu of the Game. Released version 1.1.8 the game BabyMagica! 26/10/2017 In this small update, we made the following improvements: added support for screens with an aspect ratio of 18:9 and above. And the color of the smoke of the train can now be changed. 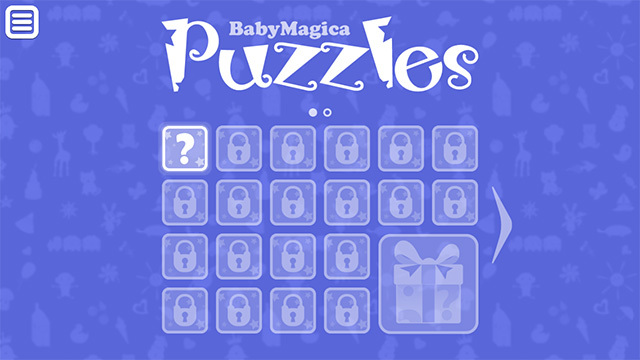 BabyMagica Puzzles coming soon on Google Play! 07/10/2017 We make a new game for young children BabyMagica puzzle. Released version 1.1.6 the game BabyMagica! 24/07/2017 In this version we made several changes and improvements. Now the game takes less RAM. In the mini-game "Little squirrel" added the sound of blows on wood and the creation of clouds. And now the butterflies jump up and not fall when you touch them. In the mini-game «Train for animals» special animal action will now be triggered not random, and click on the head or basket. 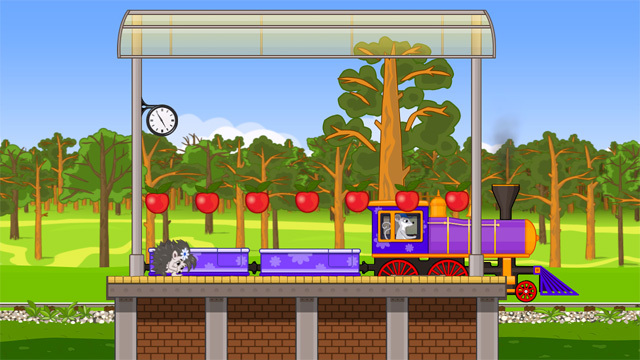 In the mini-game «Train for animals» you can activate special actions of animals by clicking on their head or basket. Bubbles, that blows the monkey, now don't fly off the screen and not burst long. For the hedgehog we made apples with sounds, you can click on them and play the notes. Bouncing, hedgehog can eat apples. Released version 1.1.4 the game BabyMagica! 25/04/2017 In the mini-game "Happy Sun" we added new hats, hairstyles and bows. Released version 1.1.3 the game BabyMagica! 05/04/2017 In this version we have made updates to the mini-game "Happy Sun". Now you can twist the rays of the Sun and change their color. Added 3 new kinds sunglasses, 8 new constellations-puzzles. And other small improvements. Released version 1.1.2 the game BabyMagica! 21/03/2017 In this small update, we made the following improvements: to the mini-game "Train for Animals" was added a End Station. And also now the color of the Train can be changed. Released version 1.1.1 the game BabyMagica! 13/03/2017 In the mini-game "Train for Animals" were added new animals: a boar with a bag for nuts (with a mini-game in nuts); crocodile with a ball (with a mini-game in the ball); kangaroo with toy robots. And also new entertainment elements: animals from behind the trees, an animated tractor in the background. And other improvements. The new animal – a Kangaroo and ... robot? 06/02/2017 In the new version (v 1.1.1) - added a new animal — a Kangaroo with his toy robot. And the robot is able to run, jump and dance. The new animal - a crocodile with the ball! 18/01/2017 We have added (for v.1.1.1 of the game) a new animal - crocodile. Waiting for the train, you can play ball with a small crocodile. Released version 1.1.0 the game BabyMagica! 24/12/2016 In the mini-game "Train for animals", we have added new entertainment elements: balloons and airplanes. Also we have added a new obstacle - haystacks on the tracks. A new animal - hippo on the platform awaiting a train. 12/12/2016 In the game added a new game element — haystack on the way train. 06/12/2016 We are now working on an update to the mini-game "Train for Animals." Already added new game elements: balloons and toy airplanes. Released version 1.0.9 the game BabyMagica! 26/11/2016 The new 1.0.9 version of the game BabyMagica is already available for download in the GooglePlay store. In the mini-game "Happy Sun" we added a new game element - Constellation puzzle in the night sky, as well as new caps and glasses for the Sun. 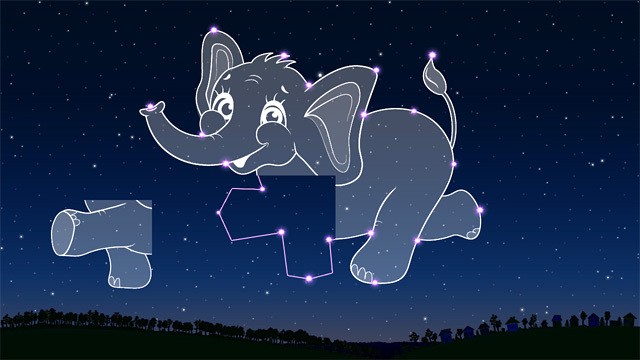 23/11/2016 In the mini-game "Happy Sun" we have added more than 20 images of animals presented in the form of puzzles, constellations in the night sky. The new game element - puzzles! 06/11/2016 It is time to bring our game for children another educational element - puzzles.This element will be available in the next update to the mini-game "Huppy sun" in the night sky. 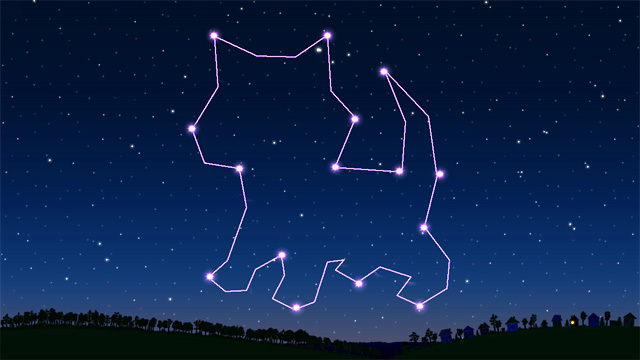 The drawings will be presented in the form of constellations and to consist of 4 parts that will not be hard for the child to collect them. Assembling the puzzle contributes to the development of creativity, imagination, spatial thinking, memory. An update 1.0.8 game BabyMagica! 01/11/2016 v1.0.8 already available on Google Play. 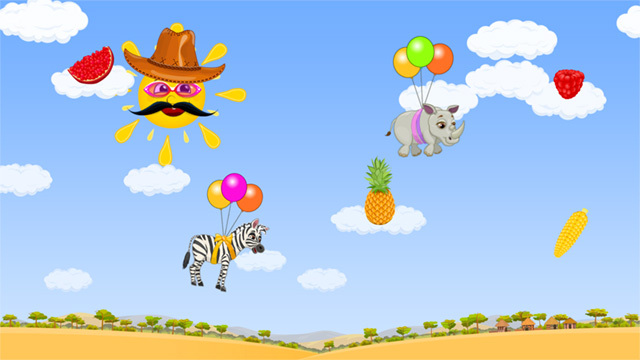 In the mini-game "Happy Sun" added new game elements: a new animal behemoth airship; glasses, hats, bows, mustaches and beards to the sun. 04/10/2016 BabyMagica v 1.0.7 already available on Google Play. In the mini-game "Happy Sun" added sweetness: now you can feed the sun. Version 1.0.6 BabyMagica games already available on Google Play! 26/09/2016 BabyMagica v 1.0.6 already available on Google Play. In the mini-game "Little Squirrel" added the mushrooms, which can be collected for the squirrels and hedgehogs. Added decorative elements. Version 1.0.4 BabyMagica games already available on Google Play! 13/09/2016 BabyMagica v 1.0.4 already available on Google Play! Mini-games "Little Squirrel" and "Happy Sun" translated into 60 fps. Some elements added. Version 1.0.3 BabyMagica games already available on Google Play! 4/09/2016 BabyMagica v 1.0.3 already available on Google Play! Mini-game “Train for animals” now runs at 60 fps. Added a new animal — the Pig and Little owlet. Added a bunch of apples on the rails. Added new backgrounds: forest, apple farm. Added animated flowers and grass in the foreground. Bees flying around the bear is now possible to shoot down. A steam locomotive sound effects added vibration. 19/08/2016 Another passenger in the mini-game "Train for animals" (BabyMagica, v 1.0.3) - the little owlet in a nightcap. 04/08/2016 In the mini-game "Train for animals» (BabyMagica, v 1.0.3) added decorative animated elements: flowers and mushrooms, responsive to the player's touch. 21/07/2016 A new character in the mini-game "Train for animals" - pink pig that loves to eat apples. A big pile of apples on the rails! 15/07/2016 Version 1.0.3 of the game BabyMagica in production. One of the new elements is a big bunch of ripe apples directly in the path of the train! Update for the game BabyMagica! 6/06/2016 Game Version 1.0.2 is available for download in GooglePlay. The "Little Squirrel" mini-game: Added new species of butterflies. The "Happy Sun" mini-game: Added new animals on balls. Performed optimization. 18/05/2016 Game Version 1.0.1 is available for download in GooglePlay. In the mini-game "Little Squirrel" added a new character - a Hedgehog. It is also made to optimize the application, fixed bug with memory leak. 08/05/2016 Game BabyMagica available for download in Google Play!